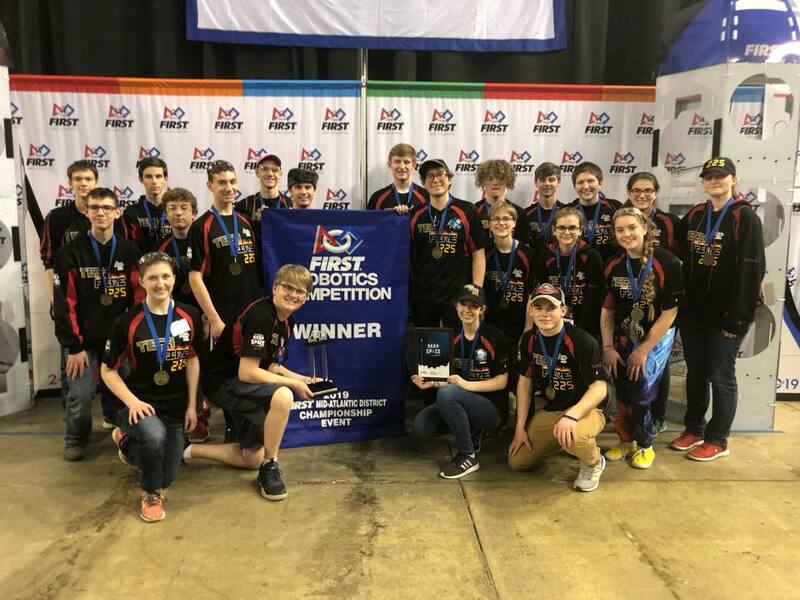 Welcome to the official site of FRC Team 225 TechFire, a FIRST (For Inspiration and Recognition of Science and Technology) competition robotics team comprised of students and mentors from York, PA. In preparation for the annual FIRST Robotics Competition, students partner with volunteer mentors to build a robot. After the challenge is announced, the team designs a competition robot in January and February each year. This effort culminates in a competition against other FIRST robotics teams throughout the region, country, and world. Please explore our site to learn more about our team and why we are excited to be part of FIRST.